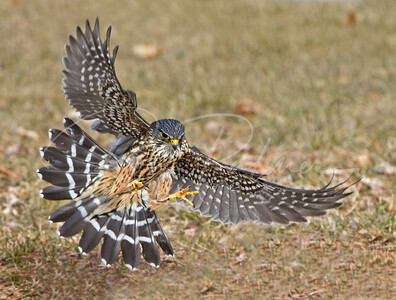 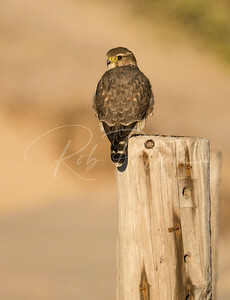 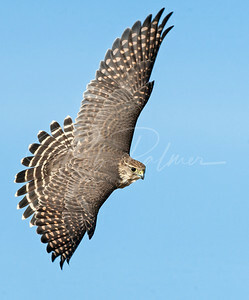 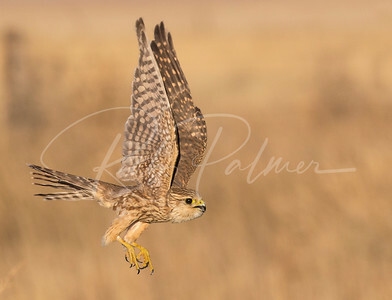 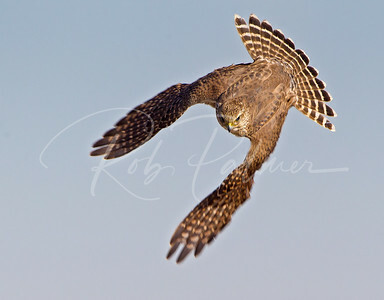 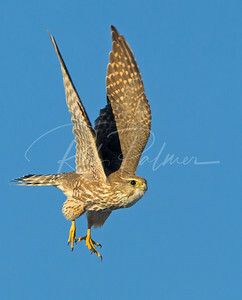 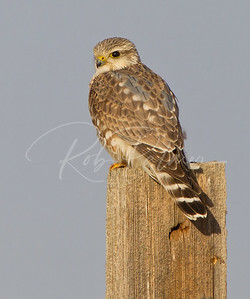 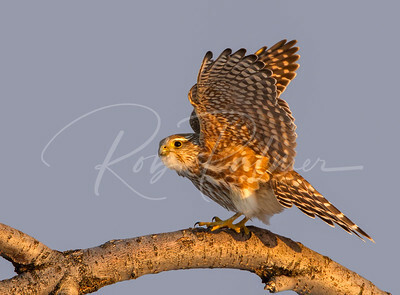 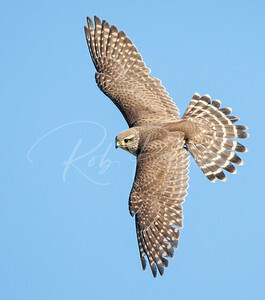 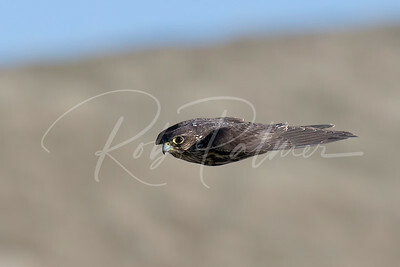 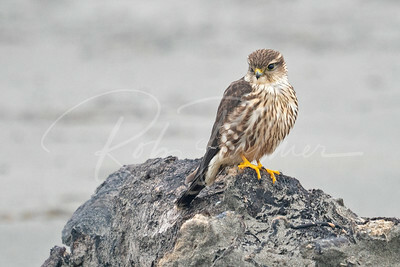 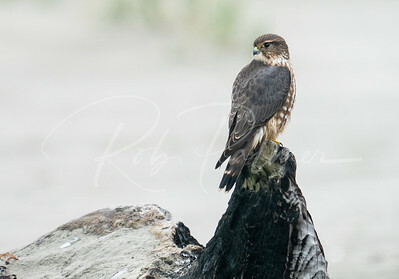 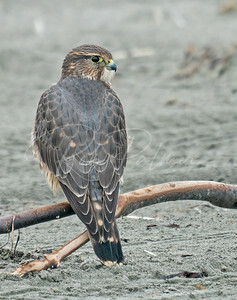 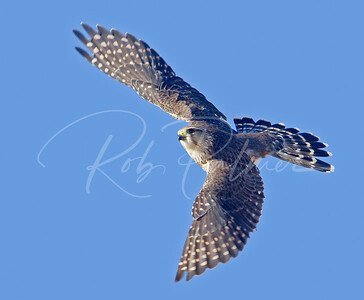 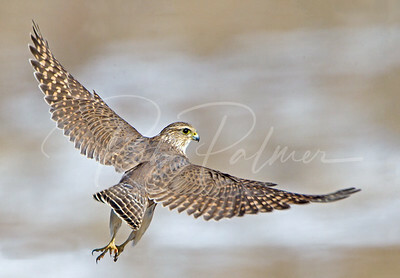 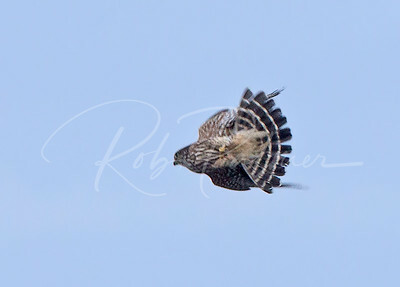 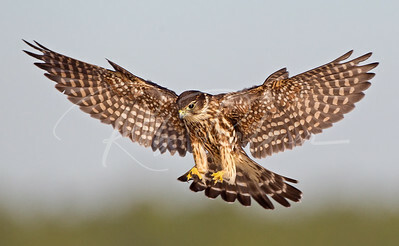 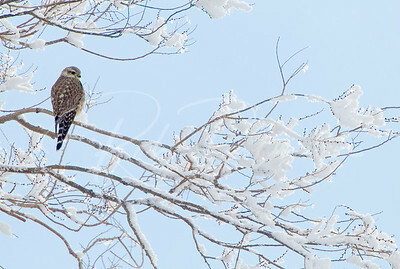 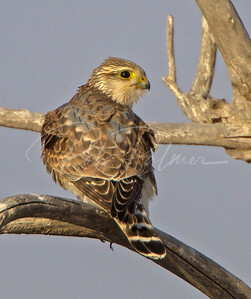 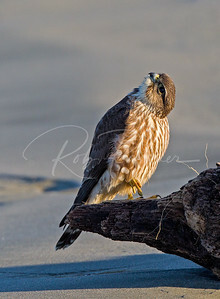 Immature male Prairie Merlin with adult feathers coming in. 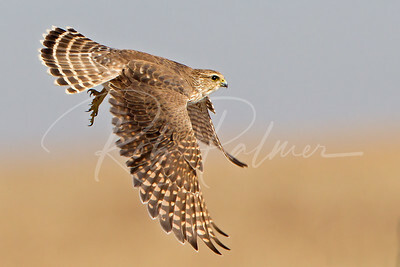 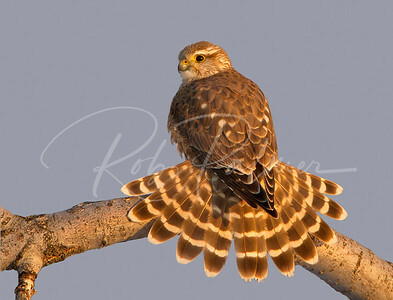 Female Prairie Merlin showing us her gorgeous tail. 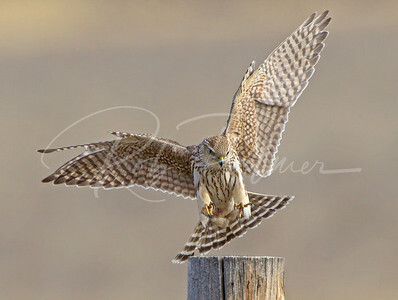 Prairie Merlin landing on a fence post. 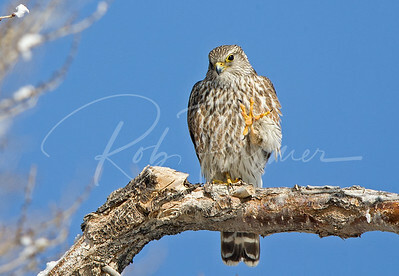 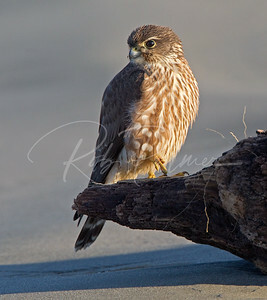 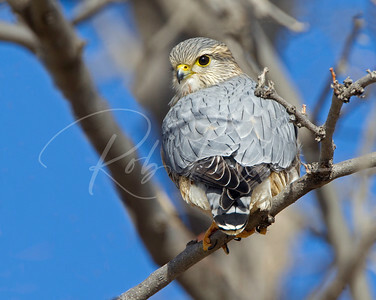 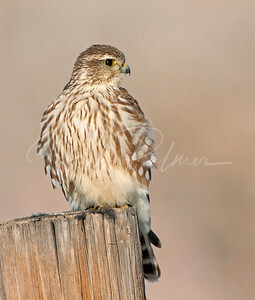 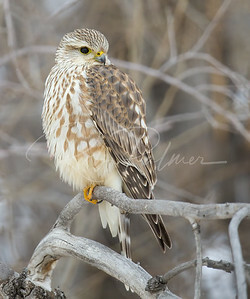 A beautiful adult male Prairie Merlin "Blue Backed Jack"
Male Prairie Merlin with new feathers coming in. 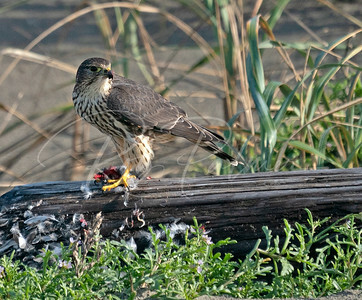 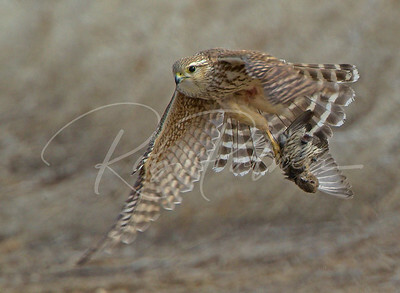 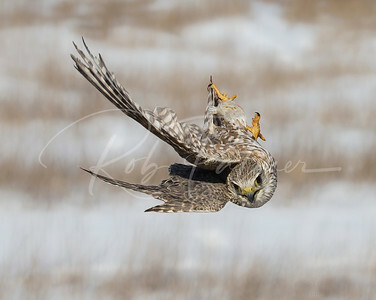 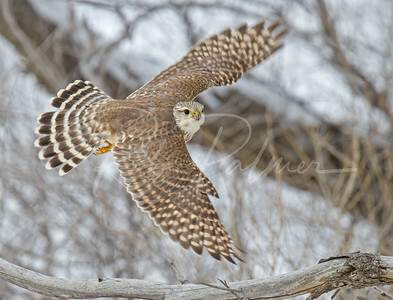 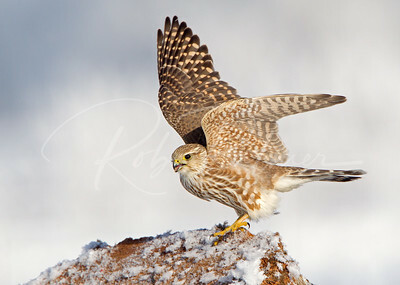 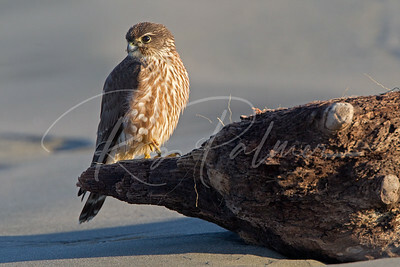 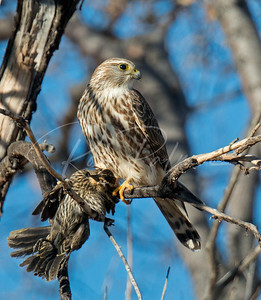 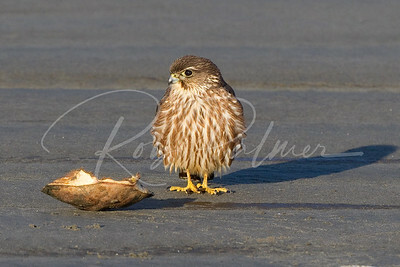 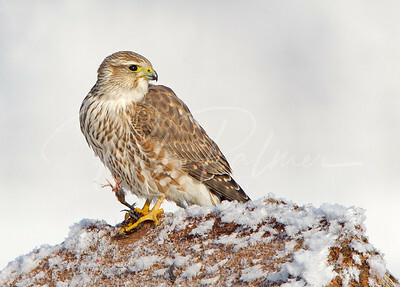 Prairie Merlin with the leg of its prey just finishing a meal.